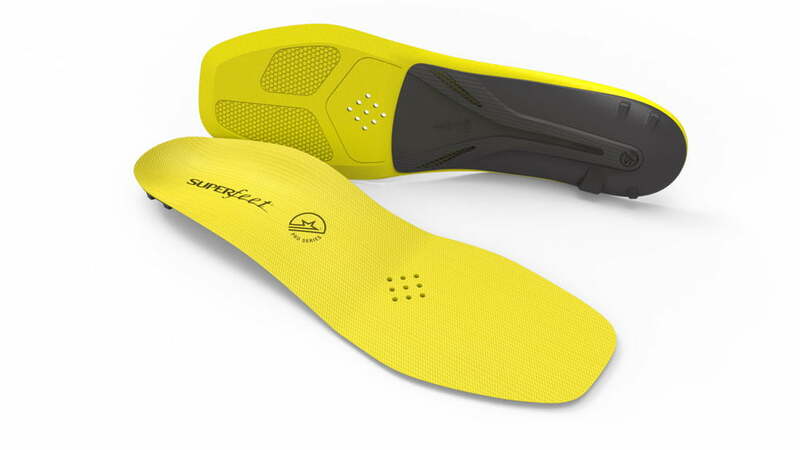 Superfeet Carbon Pro Hockey Insoles | Sports Etc. The Superfeet Carbon Pro Hockey insoles provide up to 11% better acceleration on the ice, unrivaled edge control and exceptional energy transfer. Designed for tight turns, crossovers, quick starts and hard stops, these Superfeet footbeds are a game changer on the ice. On-Ice Benefits: The plastic Flybridge reinforcement through the heel and mid-foot loads and channels energy when the skater puts pressure on the bottom of his/her foot. This energy transfer is much smoother with a reinforced insole and creates an 11% improvement in acceleration on the ice. The carbon fiber in the heel of the Flybridge also creates added stability and improves the attack angle for the skater- which allows for quick starts, crisp stops and tight turns. 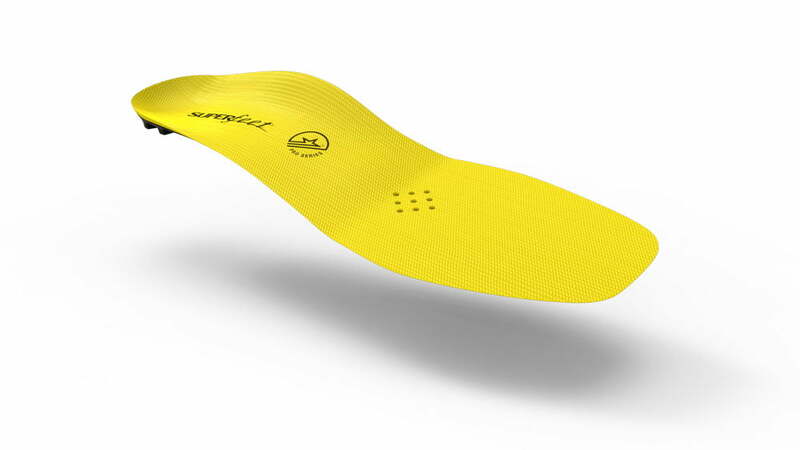 Medical Benefits: The added support and stability that the Superfeet insole provides has contributed to health benefits in the feet, ankles, knees, back and spine. The improved stability in the footbed aligns the ankles and knees of the skater, which in turn takes stress off of other parts of the body including the knees, back and spine. We have also seen huge benefits for individuals with foot problems as well, including plantar fasciitis, high arch, low arch, flat feet, etc. The support provided takes tremendous stress off of the skaters foot in these situations. Equipment Benefits: The venting system in the Superfeet insoles improves air circulation and drainage, which helps the hockey skate boot from breaking down and diminishes the accumulation of rust on a players steel through normal wear-and-tear. The footbeds also reduce friction between the foot and the boot because the footbed secures the players foot in a more stable position, in turn reducing pressure and wear-and-tear on the skate. 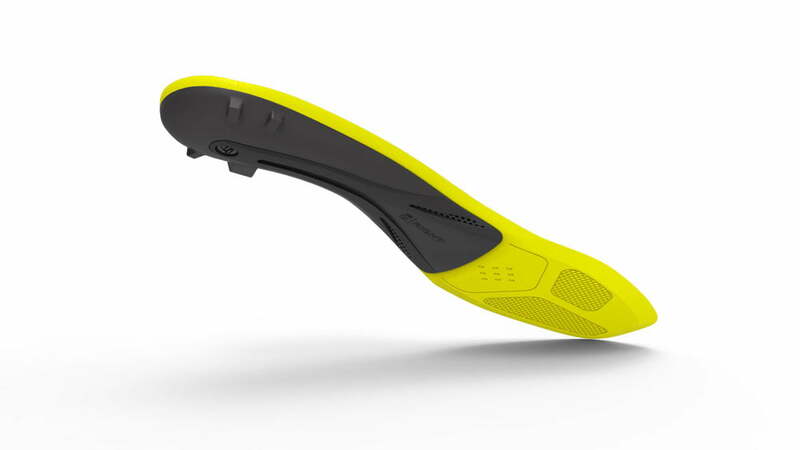 All in all, the Superfeet Carbon Pro Hockey insoles provide an incredible improvement over the flimsy footbeds that come in the majority of hockey skates on the market today. Typical footbeds consist of not much more than a single layer of foam padding, with no structural support. These insoles help improve on-ice performance, medical ailments and equipment issues.